Posted on 01/29/2019 by Mickey McCarter	in Preview and tagged concert film, DC9, glam, Live Aid, Parklife DC, Parklife DC Screens, Queen. 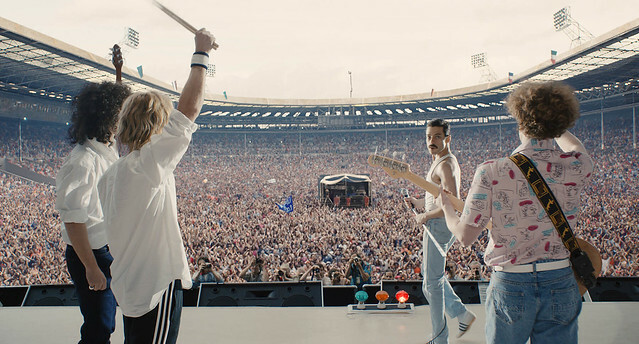 Bohemian Rhapsody, the movie, is drawing a lot of awards attention. And audiences are abuzz with its end sequence duplicating Queen’s electric performance at Live Aid. Revisit the excitement with a screening of Live Aid at DC9 on Tuesday, Feb. 5. We inaugurate Parklife DC Screens, a concert and documentary film series, with DC9 with a screening of that very buzzy Live Aid performance. RSVP on Facebook, or simply join us — free admission.